cap/clip, silk touch black metal barrel, sketch pencil mechanism and extra replacement leads 4B and HB. 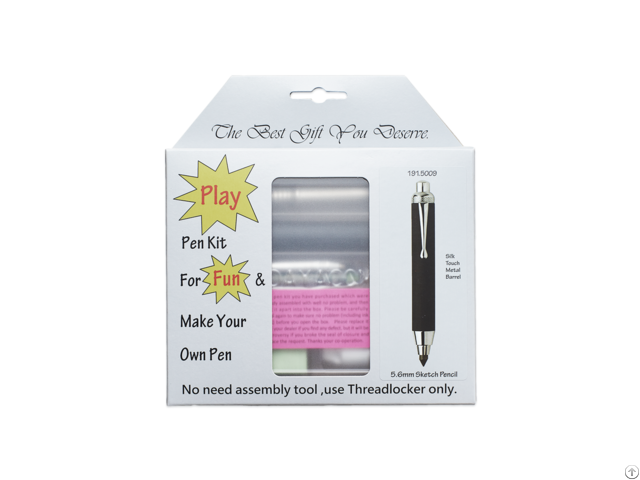 note:All pen kits can be assembled by using Threadlocker technique, silk touch metal barrels are made of aluminum alloy (light-weight and durable). 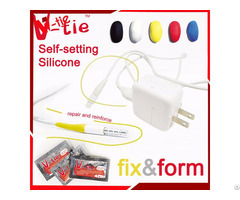 Each kit is able to fasten with male thread and female thread. The Thread Set adopted thread pitch with length enough, which provides firmly attachment and prevent kits from loosening. DAYACOM also provide a Threadlocker for customers if needed. 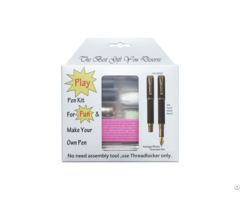 Carefully apply a small drop of Threadlocker to the tip of the screw of pen parts before screw in, and wait 15 to 20 minutes until dry, the kits will stay permanently without falling off. Business Description: Dayacom has 30 years of pen design experience, we provide high standard quality and Dayacom exclusive design pen kits for our customers. In 2017, we reform the original pen kit design and put the” Do It Yourself” idea into a new product line, and create the ‘Ipenplay’ project. All the Ipenplay Pens are easy to assemble without professional tools. The Ipenplay Pens are suitable for those who are interested in play pen assembling, gifts for love ones, or accessories to fit personal lifestyle. Dayacom also provide service of Pen design, tools and hardware modification based on customers’ need. The Design and Modification can be discuss in further details through email. We have business partnership from worldwide, includes: United States, Japan, South Korea, Australia, Germany, England, Italy, Spain, Sweden and South Africa. Dayacom is welcome for world distributors who are interested selling pen kit product in locals and developing business partnership with us.